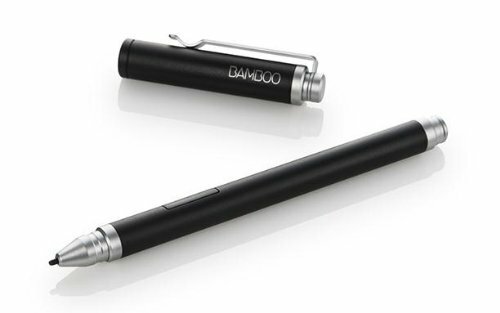 Guest post: Has Wacom quietly revised the Companion? EDITOR'S NOTE: Reader Sasa Teodosijev accepted our open invitation to contribute to the blog with this post about changes to the Wacom Cintiq Companion that he noticed when he recently received a replacement unit. Anyone else spot these changes? I purchased the Cintiq Companion few weeks after its debut. It was an awesome tool, but there were a few problems. Much like other Wacom hardware, the edge detection was troublesome. I filmed a review of the Companion, and edge detection was one of my primary complaints. The area of little less than a half inch all around the tablet was practically unusable to me. Every time I drew a line close to the edge it would curve up or down. The 13.3-inch area all of a sudden became less than 12 inches and the screen began to feel cramped. I've worked on large Cintiqs my whole life, so edge detection was important when working on a smaller screen. The second issue I had with the tablet was the screen's 'paper-like' resistance. Based on other Cintiqs I own/owned, the 'paper-like' resistance was very minimal. This made the plastic nibs glide too smoothly and making small marks, for me, was even trickier. Couple that with the edge detection issues and I was becoming very frustrated. I didn't look forward to working on the Companion. I travel a lot, and at one time I even bought the Sony Vaio Flip 15 just because I didn't want to use the Companion. 1. The stand. This piece of engineering was ridiculed from the beginning. I had to agree. It would always slip out and fall. It added bulk and weight, but it is useful when it works. 2. The power button and the ease of putting your Cintiq to sleep by accident. This was corrected in later firmware updates, but the button could still be pressed accidentally. 3: The fan was always working hard. 4: The dreaded "plugged-in but not charging" issue. After about a year, the Companion finally started showing the “plugged in but not charging” error. I was unable to charge it or use it. I was almost ready to be done with Wacom. Everything was expensive, and it seemed like they started slipping on their once impeccable quality. Still, I contacted them and they renewed my faith. The costumer service was exceptionally FANTASTIC. Not only were they able to deal with my problem, but they also dealt with the fact that I no longer had my original receipt or any information of the prior purchase. They went out of their way to make my experience exceptional. I sent the old Companion in, and as soon as they received it they sent me the replacement. This is where the story gets even better. After receiving the replacement, I expected a refurbished Companion. To my amazement, I received a brand new one. I tested the amount of writes on the SSD and the battery usage with external programs and they were all at ZERO use. The Companion looked brand new as well: no scratches, no dings. I just couldn't believe it. Then I started to notice some slight changes. 1. The power button seemed to be shaved down a bit. I remember how aware I was of it when I would hold, or push, the Companion in that area (see image right). It was the first thing I noticed. The power button is now almost flush with the frame, a lot harder to put it to sleep. 2. The 'paper-like' screen film was also a pleasant surprise. The plastic nibs now had some resistance and it felt so much better to draw on. I don't know if this is just a variance between every model, but I could feel a huge difference between the original one and the new one. 3. The power plug was now much more 'tight'. When you insert the charger into the Companion the whole housing feels very sturdy. This was not the case before. The old Companion had a gap between the frame and body. The worst, I could see the cylinder of the charger when it was plugged in. 4. The edge detection was also much better. I could now draw to the edge of the screen without the line going up or down from the tip of the pen. I tested all the corners, and shot a little video to demonstrate. 5. The bottom part of the back (where stand attaches) was also a bit different. On the older Companion the bottom part stuck out a bit more, almost like a pocket (see image left). This is where the bottom of the stand inserted and latched. On the new Companion that 'pocket bulge' is gone. Both holes for the stand are flat and they hold the stand in better, although the flawed stand itself has not changed. That was also another pleasant surprise. 6. This could be just me, but the felt protective case also felt better. The stitching on it seemed a bit different. It may be just because it was new, but it looked like it was updated. I chucked all the Companion woes to my inability to work on small areas (coming from 24HD and 22HD), but when I got the newer, updated model, everything changed. With improved edge detection, better nib resistance, and no accidental power button presses, I really like using the Companion. It is now my primary tool in the office or out. These were subtle changes, but the Companion has most certainly improved and it's worth the price now more than ever. New Companion, edge detection is much better than the very first release. You can compare this video to my review to see the edge detection difference. Also, the screen protective film is so much better and provides a much nicer resistance compared to the original (which was too smooth). An example of Ray Frenden's work created entirely on a Cintiq Companion. There are few artist/bloggers whose opinion I value more than Ray Frenden. I couldn't draw without his Manga Studio and Photoshop brushes and I love his distinctive biker art style. He's also a master calligrapher. So whether he's writing about pen tablets, display tablets or tablet pcs, the guy knows his stuff. 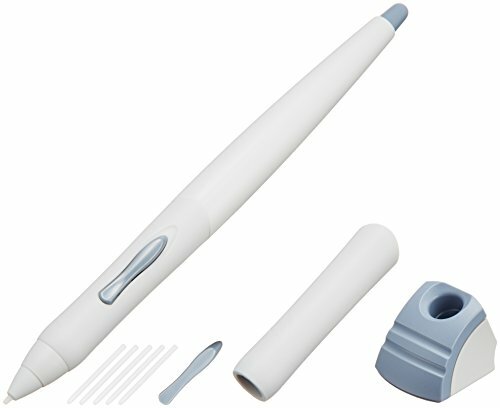 Ray recently got a review unit of the Surface Pro 3 and he's just posted his first impressions of the device, comparing it head to head with the Wacom Cintiq Companion. This is the one article I've been unable to write myself since I've only managed to spend a couple of minutes on a Companion at a trade show. Generally speaking, Frenden gives the Surface Pro 3 high marks for its screen size, portability and battery life, while extolling the Companion's expresskeys and drawing surface. If you are a fan of the campy 60's Batman tv series, you owe it to yourself to check out Batman '66 on Comixology. Each issue is only 99 cents and is packed with great art and outstanding motion effects. Artist Jonathan Case's positive reviews of the first generation Surface Pro convinced a lot of us that Microsoft's tablet pc wasn't merely a toy. In the hands of a professional artist, the Surface Pro is a serious workhorse. Case is back this week with a review of the Wacom Cintiq Companion. And because he also owns a Surface Pro 2 and Samsung Galaxy Note 10.1 2014 Edition, Case offers a fascinating comparison between the three devices. I highly recommend you read his thoughtful post here. Ever since the Wacom Cintiq Companion was announced, readers have been asking for a side by side comparison with our beloved Surface Pro. I can't afford a Companion and a Surface Pro 2, so I've been waiting for someone to post a comparison. Finally artist Noah Bradley has provided the first side by side review video. Hopefully a lot more will follow. A quick video review of Wacom's Cintiq Companion and Microsoft's Surface Pro. Both of these machines are great--I really don't have much to complain about. I've had a joy working on both of them and highly recommend them for any artist who wants a bit of mobility with their digital painting setup. I'm one of those griping about the price of Wacom's new Cintiq Companion, but this video convinces me that Wacom got the form factor right. What do you think? Cintiq Companion on Tour -- Wacom evangelists test and review the new creative mobile tablet. Clip 1 of 6, Barcelona, Spain. Watch animation artist Pablo Navarro getting hands on the new device, talking about creativity, inspiration, mobility and his experience with the product.